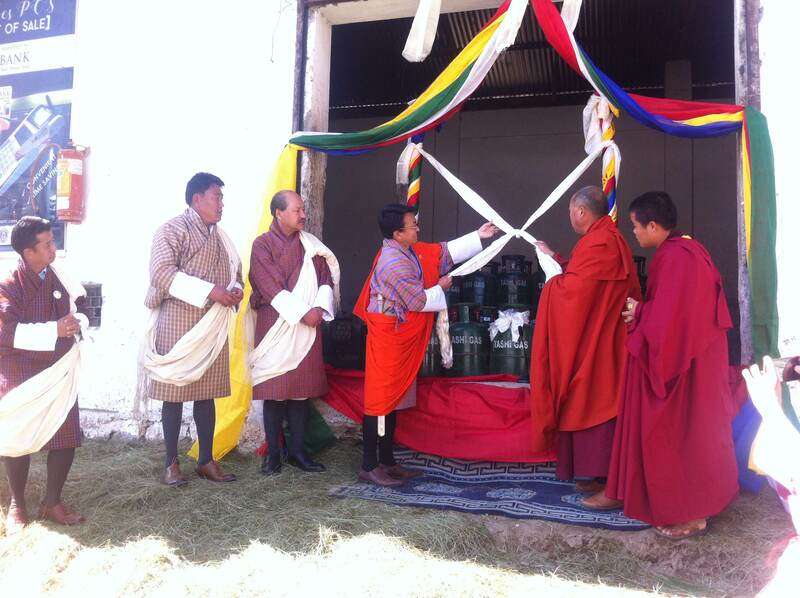 Hon’ble Minister for Economic Affairs, Lyonpo Lekey Dorji, launched the non-subsidized Liquefied Petroleum Gas (LPG) scheme at the BoD depot in Motithang, Thimphu on February 9, 2018. The scheme will be implemented in a phased manner starting with the four Thromdes of Thimphu, Phuntsholing, Gelephu and Samdrup Jongkha. It shall be gradually introduced in other Dzongkhags. The main objective of introducing non-subsidized LPG is to supplement existing subsidized LPG quota and to allow its distribution to the rural households in keeping with the government’s policy to make clean cooking energy easily available and improve their livelihoods. Bhutan is authorized to import 1000 MT of non-subsidized LPG (14.2kg) per month, from Indian Oil Corporation Ltd (IOCL) to supplement its existing LPG quota. With the introduction of non-subsidized LPG, there will be three types of cylinders in circulation viz. 14.2 kg subsidized/domestic LPG cylinder, 19 kg commercial LPG cylinder, and 14.2 kg Non-subsidized/domestic LPG cylinder (green in color). The existing monthly quota for domestic subsidized LPG is 700 metric tons, while the monthly quota for commercial LPG (19 kg) is 500 MT, distributed by Bhutan Industrial Gas (BIG). The distribution of subsidized LPG is however done by three dealers, namely: Bhutan Oil Distributors/ Bhutan Oil Corporation, Damchen Petroleum Distributors and Druk Petroleum Corporation Ltd. The use of subsidized 14.2 kg LPG is exclusively for domestic household cooking purposes while the 19 kg LPG is for commercial purposes such as for industrial and hotel services. The import, distribution and pricing of LPG is regulated by DoT/ MoEA. The principal supplier of non subsidized LPG is IOCL. From the monthly allocation of 1000 MT, 500 MT is allocated for the Western Region (Thimphu, Paro, Haa, Wangdue, Gasa, Punakha, Chhukha and Samtse) and 250 MT (each) for the Central (Bumthang, Trongsa, Dagana, Tsirang, Sarpang and Zhemgang) & Eastern Regions (Samdrup Jongkha, Pemagatshel, Trashigang, Trashiyangtse, Mongar, Lhuntse) . In order to achieve the above stated objectives, MoEA would like to appeal and encourage all well in urban areas to come forward and voluntarily give up their subsidized LPG and avail non subsidized LPG. Next Next post: Notification on Guideline for the Operation and Management of Business Incubation Centre (BIC).